I’ve been meaning to see End of watch, thanks for the reminder. No probs. I hope you enjoy it! I’ve seen a lot of the ones you’ve seen this month, so let’s have a look. Breakdown – I like this one, not great, but works well on a rainy day. +3/5. End of Watch – I didn’t really like it from the get go, but it certainly grew on me and became better and better. I felt it could’ve ended a bit earlier (in the alley), but still good. +3/5. Incendies – I fully agree with you. This one is all about the story and it’s a good one that gets better and better. From the director that did the powerful Polytechnique. 4/5. The Dictator – I wasn’t impressed and it just felt lame most of the time. Better to re-watch Borat. 2/5. A Beautiful Mind – I also liked this one and it’s well worth seeing. 4/5. Never Let Me Go – I didn’t know anything about it and expected a so-so youth film. Was much better and deeper than I thought, so it worked really well. I suppose one shouldn’t read the book before watching the movie though. 4/5. eXistenZ – I actually watched it just a couple of days ago. I got it and all, but was somewhat dissapointed. +2/5. Carnage – A nice little film by Polanski which works because of the four performances and his direction. Not great and not for all tastes, but I liked it. +3/5. Seven Psychopaths – I had high hopes for this one, but it didn’t take long before I felt it was more style over substance, which didn’t really work for me. In Bruges was better (not great, but good). This one was pretty average, although the idea was not bad. 3/5. The Campaign – I felt it worked fairly well to begin with, but it went downhill after a while. No more than +2/5. The only film I haven’t seen worth commenting on is Cosmopolis. I was close to watching it a long time ago, but it just seems to be a waste of time so I’m glad I didn’t. I like Cronenberg for the most part, but lately he’s been making somewhat boring movies. I hope he gets back to his old self soon. I think no matter what way you go with Never Let Me Go, you’ll never fully appreciate the version you don’t experience first due to how the story is set up. I’m still convinced that the book is superior either way though, if comparing films to books is something one feels like doing. The more I see of Cronenberg, the more I’m convinced he’s not really my cup of tea. A History of Violence is superb, but everything else ranges from “okay” to “bad” in my book. It all depends on what you’ve seen by Cronenberg. Some of his best work came in the 70’s and 80’s. I agree with you on A History of Violence though which is his best “new” film. Yeah Cosmopolis was really boring indeed! Carnage was one I didn’t like personally. Them’s the breaks sometime. I’m sure I’ll find some new pieces of gold soon enough. YES! Ha, that made me laugh. Glad you liked Incendies. That one rocked me. I wasn’t sure what to expect with Cosmopolis, as it had garnered very mixed reactions. Ultimately, a good friend of mine told me that I was bound to like it, so I went in with at least some degree of optimism. That was shot down in a hurry. 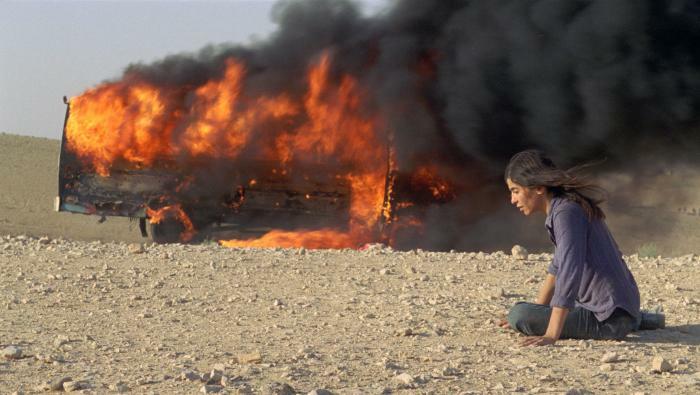 Incendies was quite powerful indeed. The bus scene will stick with me for quite some time. Agree Cosmopolis was a snoozefest, not at all what I was expecting based on the misleading trailer. Yeah that helicopter scene in The Dictator was a stand-out for me too, but most of it was…just cringeworthy to sit through. I liked Never Let Me Go a bit more than you did, and you’re not the first person to recommend the book to me. Seven Psychopaths I liked a bit less than you. It has some entertaining dialogue, and good performances. For me, the film loses direction once they go to the desert. I didn’t care who lived or died, but it was an interesting screenplay experiment. I never saw the Cosmopolis trailer, but it wouldn’t be the first time that a trailer misrepresents its movie. I’m always pleased when I see a film that keeps me wondering what’s going to happen next from scene to scene. When I see a film like that – Seven Psychopaths, Being John Malkovich, The Matador, or what have you – I realize how very many movies are content to just follow familiar formula. Being able to surprise me and keep me guessing – without resorting to out-of-nowhere twists – is a quality I value in a film. Seven Psychopaths certainly did that, especially towards the second half.